Referrals are the best compliment. Mahalo to all of our clients for your continued support! We create a custom blend for each one of our clients, and always offer a complimentary color consultation. Once we have determined the perfect solution for you, we apply it in our 15-minute appointment. Look and feel your best for your big day! Each of our solutions have been hand selected to look natural and beautiful in photographs! You can feel confident knowing that our solutions are custom blended to enhance your unique skin. Our competition solution is ultra dark and ideal for stage lighting. This is a great option for dancers, gymnasts + fitness competitions.
" If you're looking for the best in quality & service for spray tanning look no further!! Stephanie is the BEST period. She even accommodated our tight timeline and came in on her day off! Everything is better with a great tan! " 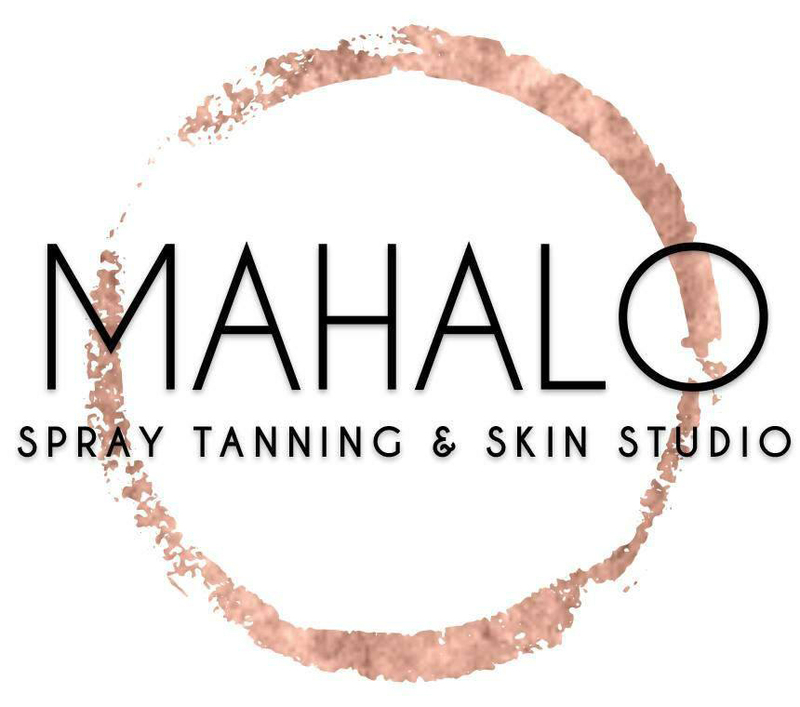 " This was my first visit to Mahalo Spray Tanning. She was very precise and the color came out better than any spray tan I've ever had in the past! Will definitely be returning! " " My tan looks amazing!! Stephanie gave me instructions on how to prep my skin before the application as well as what to do to maintain the color. Stephanie was very professional and her studio is very nice. I will be back!! " " Stephanie is a true professional and always makes you feel comfortable. I highly recommend her! " " I had never gotten a spray tan before and was pretty nervous going into it. The experience was amazing - I'm now on day 4 of the tan and it still looks great. I got the spray tan for a wedding that I was maid of honor in and it truly looked so natural and photographed so well. " "Stephanie does a great job. The color always looks fantastic and lasts a long time. She takes her time picking the right shade for your natural skin tone and makes you feel so comfortable. The salon is very clean and the whole experience is quick and pleasant! Love it!"